From its humble beginnings in the AMPLab at U.C. Berkeley in 2009, Apache Spark has become one of the key big data distributed processing frameworks in the world. Spark can be deployed in a variety of ways, provides native bindings for the Java, Scala, Python, and R programming languages, and supports SQL, streaming data, machine learning, and graph processing. You’ll find it used by banks, telecommunications companies, games companies, governments, and all of the major tech giants such as Apple, Facebook, IBM, and Microsoft. Out of the box, Spark can run in a standalone cluster mode that simply requires the Apache Spark framework and a JVM on each machine in your cluster. However, it’s more likely you’ll want to take advantage of a resource or cluster management system to take care of allocating workers on demand for you. In the enterprise, this will normally mean running on Hadoop YARN (this is how the Cloudera and Hortonworks distributions run Spark jobs), but Apache Spark can also run on Apache Mesos, while work is progressing on adding native support for Kubernetes. If you’re after a managed solution, then Apache Spark can be found as part of Amazon EMR, Google Cloud Dataproc, and Microsoft Azure HDInsight. Databricks, the company that employs the founders of Apache Spark, also offers the Databricks Unified Analytics Platform, which is a comprehensive managed service that offers Apache Spark clusters, streaming support, integrated web-based notebook development, and optimized cloud I/O performance over a standard Apache Spark distribution. It’s worth pointing out that Apache Spark vs. Apache Hadoop is a bit of a misnomer. You’ll find Spark included in most Hadoop distributions these days. But due to two big advantages, Spark has become the framework of choice when processing big data, overtaking the old MapReduce paradigm that brought Hadoop to prominence. The first advantage is speed. Spark’s in-memory data engine means that it can perform tasks up to one hundred times faster than MapReduce in certain situations, particularly when compared with multi-stage jobs that require the writing of state back out to disk between stages. Even Apache Spark jobs where the data cannot be completely contained within memory tend to be around 10 times faster than their MapReduce counterpart. The second advantage is the developer-friendly Spark API. As important as Spark’s speed-up is, one could argue that the friendliness of the Spark API is even more important. By providing bindings to popular languages for data analysis like Python and R, as well as the more enterprise-friendly Java and Scala, Apache Spark allows everybody from application developers to data scientists to harness its scalability and speed in an accessible manner. At the heart of Apache Spark is the concept of the Resilient Distributed Dataset (RDD), a programming abstraction that represents an immutable collection of objects that can be split across a computing cluster. Operations on the RDDs can also be split across the cluster and executed in a parallel batch process, leading to fast and scalable parallel processing. RDDs can be created from simple text files, SQL databases, NoSQL stores (such as Cassandra and MongoDB), Amazon S3 buckets, and much more besides. Much of the Spark Core API is built on this RDD concept, enabling traditional map and reduce functionality, but also providing built-in support for joining data sets, filtering, sampling, and aggregation. Spark runs in a distributed fashion by combining a driver core process that splits a Spark application into tasks and distributes them among many executor processes that do the work. These executors can be scaled up and down as required for the application’s needs. Originally known as Shark, Spark SQL has become more and more important to the Apache Spark project. It is likely the interface most commonly used by today’s developers when creating applications. Spark SQL is focused on the processing of structured data, using a dataframe approach borrowed from R and Python (in Pandas). But as the name suggests, Spark SQL also provides a SQL2003-compliant interface for querying data, bringing the power of Apache Spark to analysts as well as developers. Alongside standard SQL support, Spark SQL provides a standard interface for reading from and writing to other datastores including JSON, HDFS, Apache Hive, JDBC, Apache ORC, and Apache Parquet, all of which are supported out of the box. Other popular stores—Apache Cassandra, MongoDB, Apache HBase, and many others—can be used by pulling in separate connectors from the Spark Packages ecosystem. Behind the scenes, Apache Spark uses a query optimizer called Catalyst that examines data and queries in order to produce an efficient query plan for data locality and computation that will perform the required calculations across the cluster. In the Apache Spark 2.x era, the Spark SQL interface of dataframes and datasets (essentially a typed dataframe that can be checked at compile time for correctness and take advantage of further memory and compute optimizations at run time) is the recommended approach for development. The RDD interface is still available, but is recommended only if you have needs that cannot be encapsulated within the Spark SQL paradigm. Apache Spark also bundles libraries for applying machine learning and graph analysis techniques to data at scale. Spark MLlib includes a framework for creating machine learning pipelines, allowing for easy implementation of feature extraction, selections, and transformations on any structured dataset. MLLib comes with distributed implementations of clustering and classification algorithms such as k-means clustering and random forests that can be swapped in and out of custom pipelines with ease. Models can be trained by data scientists in Apache Spark using R or Python, saved using MLLib, and then imported into a Java-based or Scala-based pipeline for production use. Note that while Spark MLlib covers basic machine learning including classification, regression, clustering, and filtering, it does not include facilities for modeling and training deep neural networks (for details see InfoWorld’s Spark MLlib review). However, Deep Learning Pipelines are in the works. Spark GraphX comes with a selection of distributed algorithms for processing graph structures including an implementation of Google’s PageRank. These algorithms use Spark Core’s RDD approach to modeling data; the GraphFrames package allows you to do graph operations on dataframes, including taking advantage of the Catalyst optimizer for graph queries. Spark Streaming was an early addition to Apache Spark that helped it gain traction in environments that required real-time or near real-time processing. Previously, batch and stream processing in the world of Apache Hadoop were separate things. You would write MapReduce code for your batch processing needs and use something like Apache Storm for your real-time streaming requirements. This obviously leads to disparate codebases that need to be kept in sync for the application domain despite being based on completely different frameworks, requiring different resources, and involving different operational concerns for running them. Spark Streaming extended the Apache Spark concept of batch processing into streaming by breaking the stream down into a continuous series of microbatches, which could then be manipulated using the Apache Spark API. In this way, code in batch and streaming operations can share (mostly) the same code, running on the same framework, thus reducing both developer and operator overhead. Everybody wins. A criticism of the Spark Streaming approach is that microbatching, in scenarios where a low-latency response to incoming data is required, may not be able to match the performance of other streaming-capable frameworks like Apache Storm, Apache Flink, and Apache Apex, all of which use a pure streaming method rather than microbatches. Structured Streaming (added in Spark 2.x) is to Spark Streaming what Spark SQL was to the Spark Core APIs: A higher-level API and easier abstraction for writing applications. In the case of Structure Streaming, the higher-level API essentially allows developers to create infinite streaming dataframes and datasets. It also solves some very real pain points that users have struggled with in the earlier framework, especially concerning dealing with event-time aggregations and late delivery of messages. All queries on structured streams go through the Catalyst query optimizer, and can even be run in an interactive manner, allowing users to perform SQL queries against live streaming data. Structured Streaming is still a rather new part of Apache Spark, having been marked as production-ready in the Spark 2.2 release. However, Structured Streaming is the future of streaming applications with the platform, so if you’re building a new streaming application, you should use Structured Streaming. The legacy Spark Streaming APIs will continue to be supported, but the project recommends porting over to Structured Streaming, as the new method makes writing and maintaining streaming code a lot more bearable. 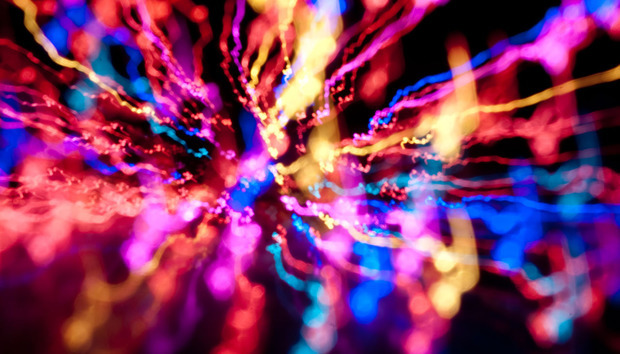 What’s next for Apache Spark? While Structured Streaming provides high-level improvements to Spark Streaming, it currently relies on the same microbatching scheme of handling streaming data. However, the Apache Spark team is working to bring continuous streaming without microbatching to the platform, which should solve many of the problems with handling low-latency responses (they’re claiming ~1ms, which would be very impressive). Even better, because Structured Streaming is built on top of the Spark SQL engine, taking advantage of this new streaming technique will require no code changes. In addition improving streaming performance, Apache Spark will be adding support for deep learning via Deep Learning Pipelines. Using the existing pipeline structure of MLlib, you will be able to construct classifiers in just a few lines of code, as well as apply custom Tensorflow graphs or Keras models to incoming data. These graphs and models can even be registered as custom Spark SQL UDFs (user-defined functions) so that the deep learning models can be applied to data as part of SQL statements. Neither of these features is anywhere near production-ready at the moment, but given the rapid pace of development we’ve seen in Apache Spark in the past, they should be ready for prime time in 2018.